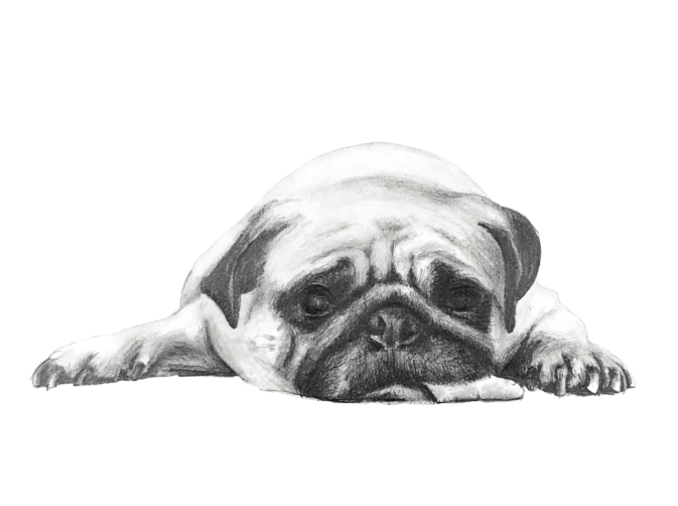 I would love to draw your dog, cat, turtle, hamster, goldfish, pot bellied pig - you name it! Send me a email or give me a call to tell me what you have in mind. I want to hear all about your pet, along with any other relevant details. Do you have a vision for the drawing? Will it be a gift? Do you have a size in mind? A specific deadline? You can also fill out this form and I'll get in touch!